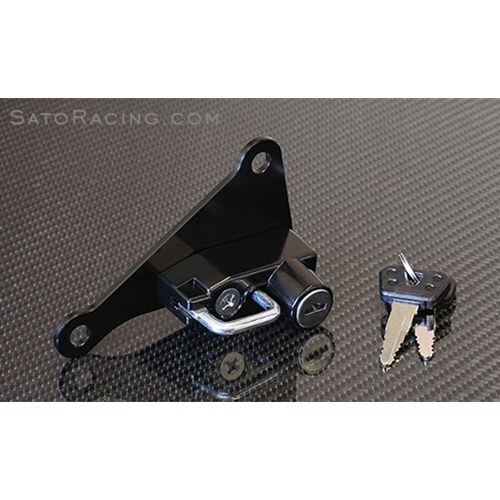 Keep your helmet safe with a Sato Racing Helmet Lock. This rugged lock has an anodized billet aluminum mounting bracket that fits discreetly, providing a convenient way to securely stow your helmet. Includes 2 keys. A matching Helmet Anchor is an available option.